The edUX logo. 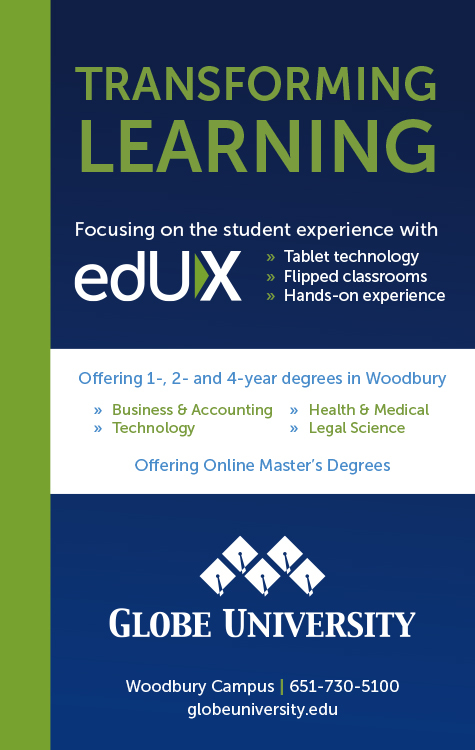 edUX comes from EDucational User eXperience. The colors are the school colors and the arrow symbolizes moving forward into the future. 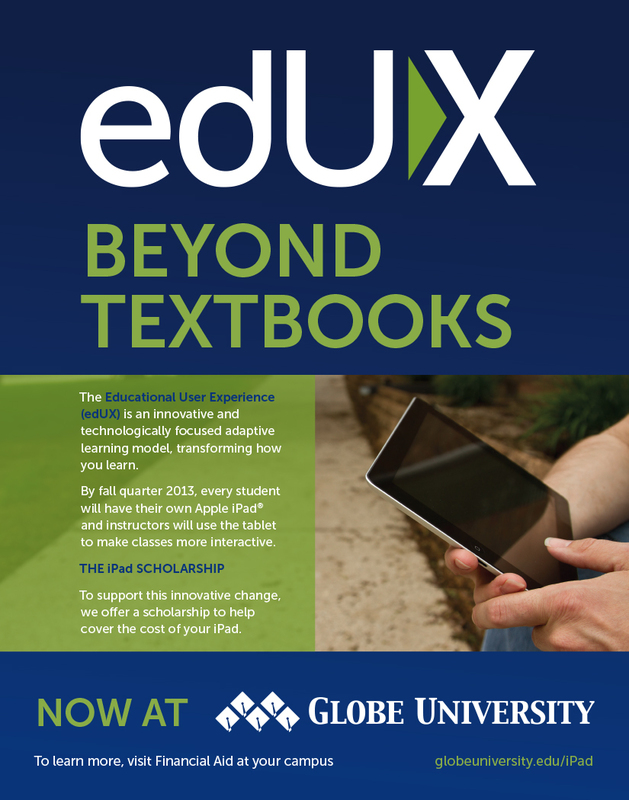 Project Overview: Globe University was making a transition from printed to digital textbooks. At the same time they were looking at a few other institutional transitions designed to help students achieve their learning goals. 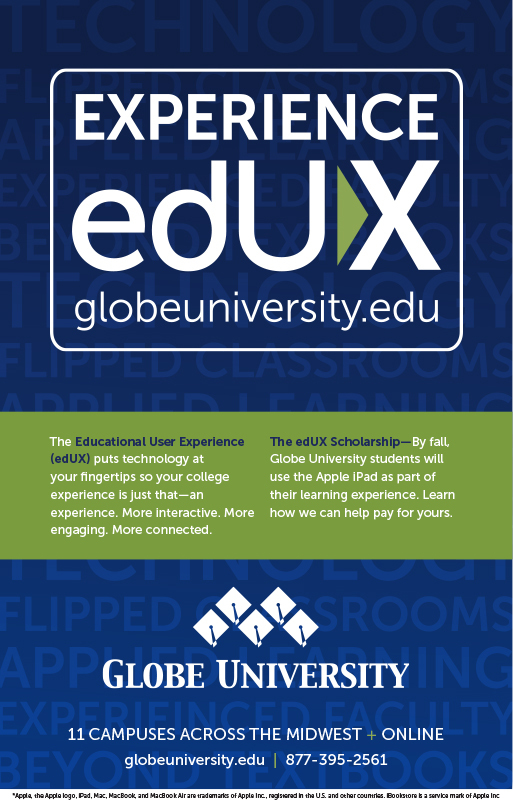 They decided to name the program edUX after educational user experience. Working with the input of a couple other art director's a logo was developed. After that the campaign was launched with an initial push in all media including outdoor, print ads and banner ads, along with social media and website cover and header images. There was also a video push that I needed to coordinate with. Advertising: Outdoor, print and online. One of the billboards created for the program launch. Above are magazine and newspaper ads. Below is a full set of banner ads for the google ad network plus specially sized ones for advertising on Pandora. This was a big initiative and a push was made to not just inform, but to educate people as well. What follows are informational flyers and posters letting people, both inside the campus and out, know just what edUX was. First, a customizable flyer that would allow it to be used for any campus. This would be ordered by campuses through a vendor website set up for pieces like this. Below is a series of informational posters that were intended to hang around campus. These would raise awareness and direct people to the page on the marketing site that would explain the program. Facebook, LinkedIn, YouTube cover images and the Globe website header.